Planning an Office Removals in Slough? Are Looking for Office removal in Slough? Office move can be a very stressful matter. With so many elements to consider, it can become an annoyance even just to think about. When seriously considering office moves it is essential to have the right office move company in place who can deal with the planning and logistics. If you are planning office move, you have to hire us Decent Removals. We have the experience and knowledge to help you achieve such an office move, with our dedicated specialist team who have the know-how to help your office move be as stress-free as possible. Over the 5 years, we have gained an excellent reputation for excellent quality in office moves. This is down to the pure depth and breadth of our skill, held by our company-wide guarantee to care, integrity and respect. 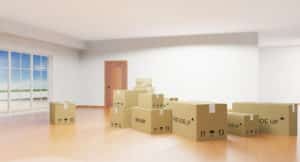 You can now take the stress out of moving by asking our companies for a free quote for your office removals in Slough, and the surrounding areas. Do know that we’ve got you covered, you can concentrate on preparing to move. Our team is friendly of removals professionals to work well in tight spaces, moving furniture and other large items through small passages to the safety of office removals vehicles. Not only are they big on safety, but also provide great services for Office relocation services slough. We bring you the years of experience and expertise. We actually listen! Every move they undertake is based on a thorough and diligent assessment of how your business works and how they can move you while minimizing the impact of the move. Your office furniture, workstations, IT, equipment, files, and documents – it is our promise to you that all these and more will reach your new premises in exactly the same state that they were left. Thus, allowing your business to function at full speed from day one. For every move, our Office removals in Slough assign you a Personal Move Manager. Not just anyone, but the right person for your move. This means you have just one point of contact and therefore no confusion, no error, no mess-ups. Trust us, we know all about trust! In addition, we use our security vetted staff, tracked vehicles and proven transfer methods to give you the peace of mind that your confidential information is in safe hands all the way.  We actively provide this unique service to a number of the UK’s leading companies, as a cost-effective alternative to using their own labor force. For more information on our office moves solutions, Contact us right now at this number: 07404432448 Looking for Office removals in Slough or Relocation services? There are many companies in Slough but “Decent Removal” provides best Office Removal Services. Our Office Moves services in London are a very useful yet convenient service. We make office removal very easy, reliable & affordable for you.